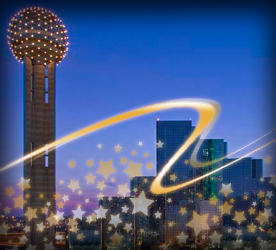 We’ve partnered with some great North Texas hotels to make your trip to the 50th ACM Awards celebration weekend a breeze! Check out our host and partner hotels below, and book your rooms now. You’ll rest easier. Even if you’ve never been to Dallas, chances are you’re already familiar with the Hyatt Regency Dallas at Reunion due to it’s starring role in the opening credits of the iconic TV show Dallas. 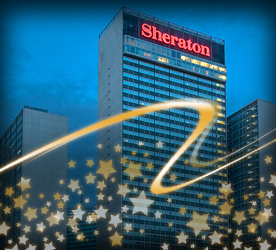 The spotlight will be shining even brighter on this Official ACM Fan Hotel in April 2015, as guests of the Hyatt Regency are granted shuttle access (with purchase of shuttle pass) to the ACM Awards and its award-winning lineup of Official Events taking place in nearby Arlington, Texas. Then make your way back after a whirlwind day of ACM Events and relax in the newly renovated guest rooms or extend the evening activities at Five Sixty by Wolfgang Puck, where the entire restaurant rotates to offer a 360-degree view of the city. While enjoying a beverage and fine dining you can map out all the Texas-sized activities that await you outside the doors of this distinctive downtown luxury hotel. If living large is your style (and we all know it is, since you’re a verified Country Music fan), then the Sheraton Dallas, An Official ACM Fan Hotel, is your kind of place during a fun-filled week. This Hotel is Texas big—boasting 1,840 rooms, 22 presidential suites, 224 junior suites and more than 50 elevators and escalators—and checks in as the tallest all-hotel building in the city. From the hotel’s eco-friendly upscale rooms to the heated rooftop pooland lobby level sports bar , the options are endless on how to further extend the excitement without leaving the doorstep of the hotel. However, for those night owls, the hotel’s prime location, only steps away from the city's vibrant arts and business districts, and adjacent to the DART rail line, allows fans to extend their fun-packed day to experience the bonanza of culture, sports centers, entertainment, shopping and dining that have made Dallas a world-renowned destination. These are exactly the reasons why the city’s slogan is “Big Things Happen Here.” Plus by staying at one of the Official Fan Hotels, the ACM shuttles (with purchase of a shuttle pass) will take you directly to the ACM Awards and the other Official Events taking place in the neighboring city of Arlington.